Bargain shop stock tends to arrive in waves, and certain items can disappear without a trace. I thought I’d seen the last of the endangered animals puppets that were so prevalent in the bargain shops a few months ago. 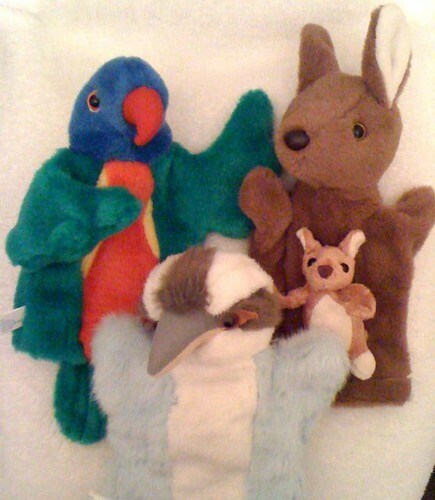 This week, several stalls at Paddy’s Market, in Haymarket, had cheap puppets in the same style and I found it hard to pass up the $4 parrot, kookaburra and kangaroo puppets. I even found a $1.50 key ring with a joey, who seems to be in the same scale as the kangaroo.